AADL (architecture analysis and design language) concentrates on the modeling and analysis of application system architectures. It is quite popular for its simple syntax, powerful functionality and extensibility and has been widely applied in embedded systems for its advantage. However, it is not enough for AADL to model cyber-physical systems (CPS) mainly because it cannot be used to model the continuous dynamic behaviors. 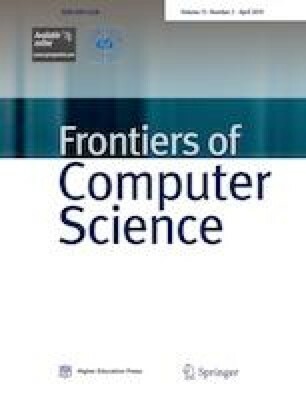 This paper proposes an approach to construct a new sublanguage of AADL called AADL+, to facilitate the modeling of not only the discrete and continuous behavior of CPS, but also interaction between cyber components and physical components. The syntax and semantics of the sublanguage are provided to describe the behaviors of the systems. What’s more, we develop a plug-in to OSATE (open-source AADL tool environment) for the modeling of CPS. And the plug-in supports syntax checking and simulation of the system model through linking with modelica. Finally, the AADL+ annex is successfully applied to model a lunar rover control system. Jing Liu is currently a professor of computer science at East China Normal University (ECNU), China. She is also the vice director of Computing Theories Institute, ECNU. In recent years, she is working on the area of model driven architecture. Now her work focuses on the design of real-time embedded systems and cyber physical system. Tengfei Li received the BS degree from the School of Mathematics and Statistics, Changshu Institute of Technology, China in 2014. He is currently a PhD student in the School of Computer Science and Software Engineering, East China Normal University, China. His research interests are in the area of safety-critical cyber physical systems, formal verification and hybrid systems. Zuohua Ding received his PhD (1996) in Mathematics(advisor: Professor Athanassios G. Kartsatos) and MS (1998) of Computer Science (advisor: Professor Abraham Kandel) all from University of South Florida, USA. He is currently a professor and the director of Lab of Intelligent Computing and Software Engineering, Zhejiang Sci-Tech University, China, and he has been a research professor of National Institute for Systems Test and Productivity, USA since 2001. From 1998 to 2001, he was a senior software engineer in Advanced Fiber Communication, USA. His research interests include system modeling, program analysis, service computing, software reliability prediction and Petri nets, subjects on which he has authored and coauthored more than 70 papers. Yuqing Qian received the BE degree and ME degree from School of Computer Science and Software Engineering, East China Normal University, China in 2011 and 2014, respectively. He is currently an engineer in internet finance. His research interests are in the area of program analysis and software engineering. Haiying Sun received the master’s degree in computer science and technology from the NanJing University Science and Technology in 2001. She earned her PhD in Formal Method From East China Normal University in 2017. She is now a lecturer at East China Normal University. Her research interests include formal method, automatic test generation, system simulation, and model-driven engineering. Jifeng He is currently a professor of computer science at East China Normal University (ECNU), China. He is an academician of Chinese Academy of Sciences. He is also the dean of Software Engineering Institute, ECNU. In recent years, he has also been working on the mathematical model about the co-design of software and hardware. His work focuses on design of real-time embedded systems, cyber physical system, and the Internet of Things. Supplementary material is available for this article at https://doi.org/10.1007/s11704-018-7039-7 and is accessible for authorized users.